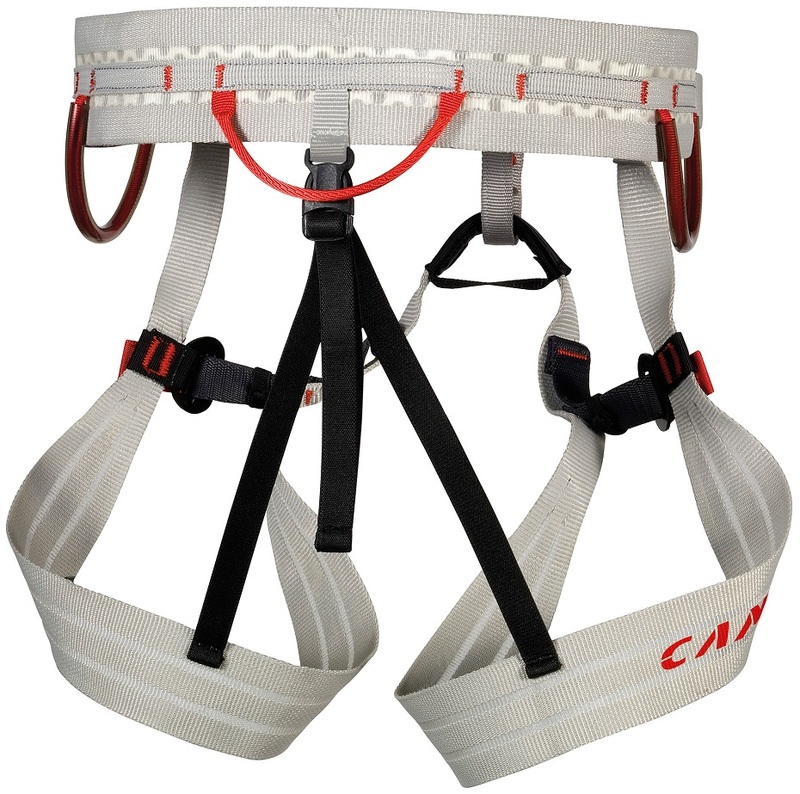 If you’ve ever stood on a peak or at an anchor and struggled to get a harness on or off, CAMP’s new Alp Mountain harness was made for you. Proprietary Sicura buckles on the waist and legs offer the security of steel autolockers but open and close quickly. The overall design of the Alp Mountain is perfect for ski mountaineering and light and fast alpinism in general. Simple load-webbing construction is light, compact, and durable. The rear elastic leg loop connectors are strung through a single buckle for quick drop-seat functionality. Three sturdy gear loops are supplemented by six additional hub-racking carabiners for ice screws, tools, or additional protection. Add it up, and you get a great harness for skiing on glaciers or in couloirs that don’t go. 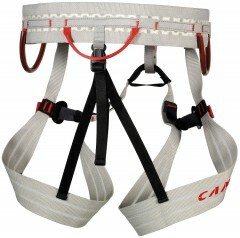 The CAMP Alp Mountain is a ski mountaineering harness. Harness can be put on and taken off easily without removing skis. 3mm of padding adds a modicum of comfort to the waist belt. Drop-seat is activated with one buckle for a quick nature call. Two side gear loops and one rear are enough for most ski days. Six integrated slots for Hub-racking expand to the biggest days. Innovative Sicura buckles de-thread quickly yet are very secure. Webbing tabs on the buckles are easy to operate with gloves. Load-webbing construction is strong and reduces pressure points. Complete package: sum of the parts is greater than the whole. I'm leaving for the Himalaya on 6 October to climb Cholatse and wondering if it is likely that I will be able to get an Alp Mountain Harness XL size before then? Hi Lindsay, these are set to arrive in September, so you'd likely be able to get one in time. Unfortunately we don't have an exact date. 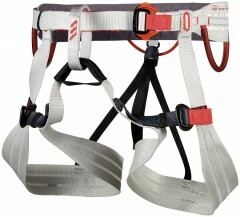 Hi Lindsay, we just received the harnesses!